The Shiloh Church is situated in Cramahe Township, Concession 6, Part of Lot 16. 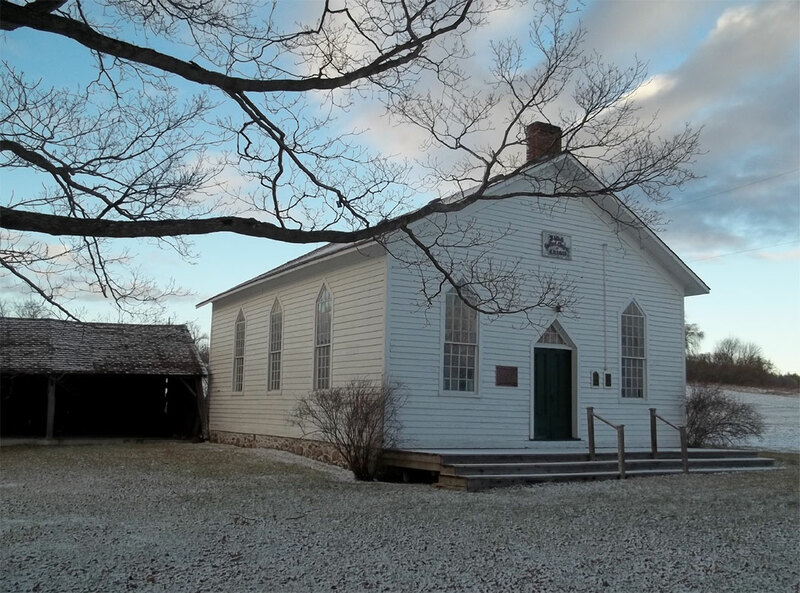 It was built in 1863 on a part of the farm lands donated by Robert Dunnett. It was originally a Wesleyan- Methodist Church and in 1925, it became a United Church. It was well attended in the early days by the original settlers of Shiloh – William Mutton, William Philp, Robert Dunnett and Henry Wilce and their families, all of whom were involved in the building of the church. Descendents of these original families still live in the neighbourhood. “This plaque is erected to the memory of the pioneers who built Shiloh Church, namely William Mutton, Robert Dunnett, William Philp and Henry Wilce, among others, whose faith and zeal resulted in this little church being constructed. Dedicated on November 25, 1863, as a Wesleyan Methodist Church, the Shiloh Church provided a permanent home for the “Walkers” congregation which had been meeting as early as 1850. Services were held in this Church from November 20, 1863 until June, 1965 when it was designated as Shiloh United Memorial Church, having an annual service and maintained by a board of Trustees.